I want to take part in the development and implementation of multi-stakeholder alternatives towards sustainable water management, taking special care of environmental conflict situations. 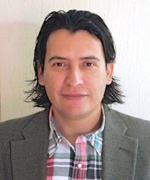 As a researcher and lecturer at the Center of Investigation and Social Formation, Political Ecology Program, Jesuit University of Guadalajara (ITESO) in Mexico, I work on issues related to regional development, political ecology, environmental conflicts and water governance in Western Mexico. 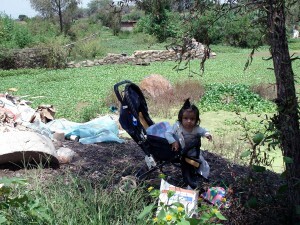 I have previously collaborated in academic – civil society projects about water management, agriculture, environment, and territoriality in rural, sub-urban and indigenous regions. The aim of my PhD research project (and future work) is to develop alternatives for a more sustainable regional water governance, including the co-production of knowledge and its validation by key local stakeholders in the Verde River watershed and Guadalajara city region in Mexico. Moreover, I would like to enhance the cooperative relationship between university, society and state through joint research, dissemination and teaching-learning activities. My collective publications include Gobernanza y gestión del agua en el occidente de México, la metrópoli de Guadalajara, ITESO, 2012, and Conflictos socioambientales y alternativas de la sociedad civil, ITESO, 2012; these publications, and more (all in Spanish), are available here. 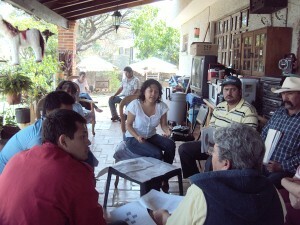 Meeting between communities, government and researchers to discuss impacts and alternatives of El Zapotillo Dam. 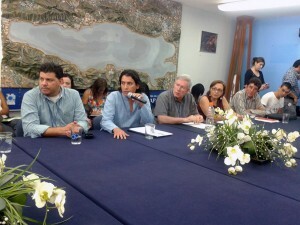 Looking for a common agenda among local stakeholders in towns near Cajititlan Lake. Getting sick by playing with polluted water near the Santiago River.